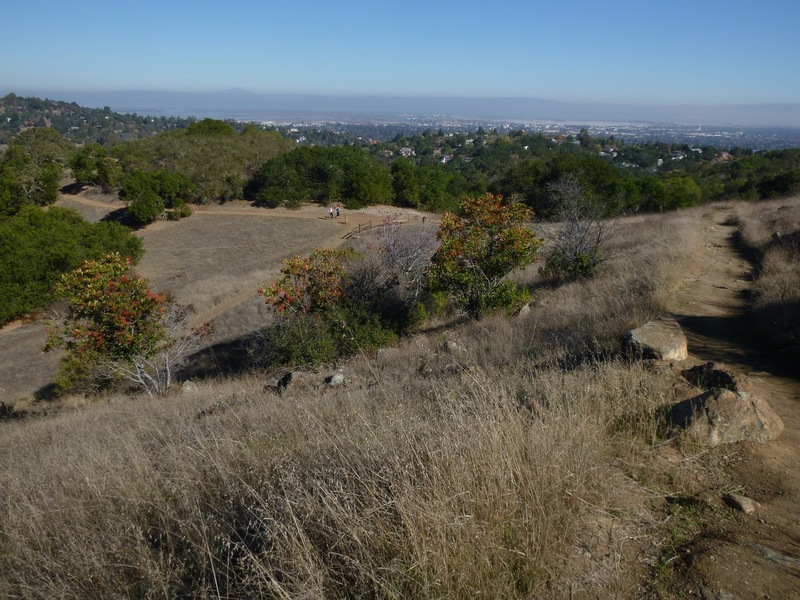 Edgewood County Park and Natural Preserve, west of Redwood City, is a favorite "everyday" hike destination. 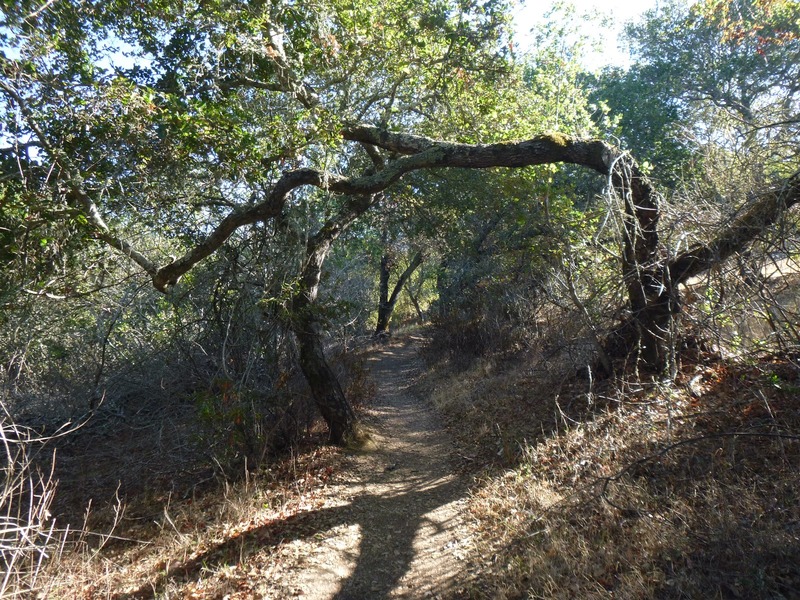 It takes about 1/2 hour to drive to the trailhead from my house, and I love the terrain -- hilly but not steep. From early winter through summer there is always something blooming and/or fruiting. In the heat of summer I appreciate the copious shade offered on the trails in the eastern part of the park. 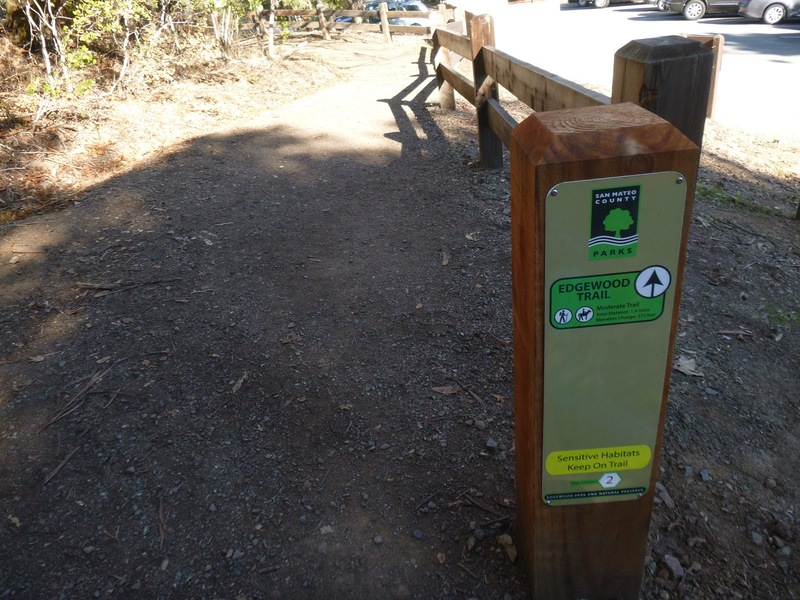 Edgewood has recently changed some trail names, installed new trail markers, and instituted a brilliant campaign of numbered junctions. These improvements make navigating much easier (as of this writing the on-line park map has yet to be updated, but new paper maps were available at the trailhead on my visit). For the past 10 years my standard Edgewood hike has been Sylvan Loop (now partly renamed) combined with the climb to the hilltop on Ridgeview Trail. In late winter and throughout spring I add on an out-and-back to the serpentine area (near the junction of Serpentine and Sunset trails) for wildflowers. If I'm in a hurry or just scouting for spring bloom peak, I often start at the Clarkia Trailhead, on Canada Road. On Sunday I had my husband and son with me, and I picked a different route. We began at the main trailhead and ascended on Edgewood Trail. To my astonishment, I had never been on this trail before. It is absolutely lovely; easily graded and with slightly more grassland than Baywood Glen Trail (the former Sylvan Loop segment, now renamed). Many woodrat nests are visible along the path, where fresh green grass is beginning to poke up from the ground, along with new yarrow and zigadene shoots. We continued on Edgewood Trail past the junction with Old Stage Road. At junction 5 (see how easy it is to follow along?) we turned onto Franciscan Trail, passing a gorgeous old coast live oak standing in the high meadow. We stayed on Franciscan past Baywood Glen, touring through the dry grassland. Then we climbed up to Edgewood's highest spot and started the gradual descent, via Live Oak, Serpentine, and Sylvan, back to the trailhead. Our total distance was about 3.4 (according to the new map) or 4.1 miles if Map My Walk is to be trusted (I am dubious, but the route it drew looks right). Check it out yourself (link to my page, with a different, also nice hike)! 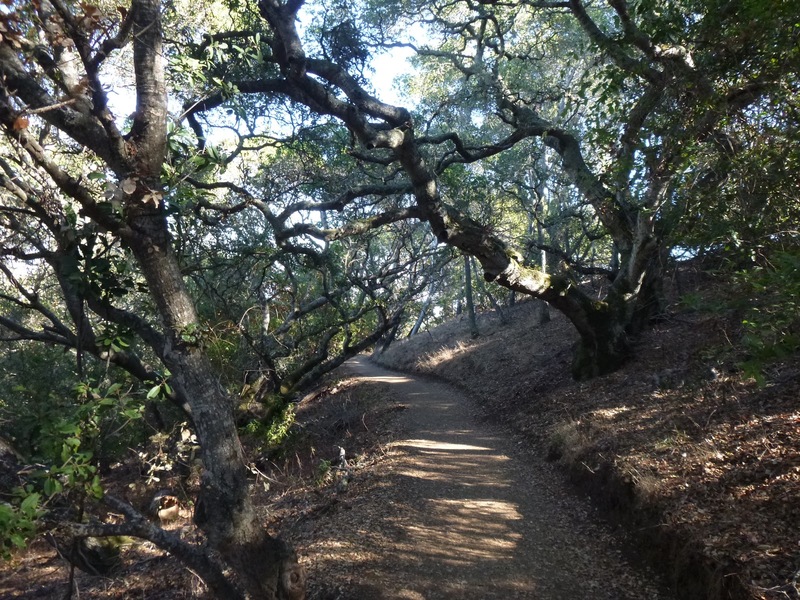 If you want to hike with a group, Edgewood has an awesome docent program, with many diverse expert-led hikes.